We understand that you need a trusted provider for yourself or a member of your family. Initially, potential residents and their families are encouraged to visit our facility and have an informal tour with a member of our staff. We understand that the decision to move into a personal care facility can be a difficult one, but we are here to help answer any questions you or your family members might have. After initial consideration, potential residents will be assessed by a Licensed Practical Nurse to ensure that we can appropriately take care of the potential resident. Once this is complete and approved, a move-in date will be selected and admission paperwork will be completed. On the date of the move-in, the resident will be acquainted to the facility, meet many new people, and enjoy a home-cooked meal in our Monet Dining Room with plenty of time to adjust and relax. 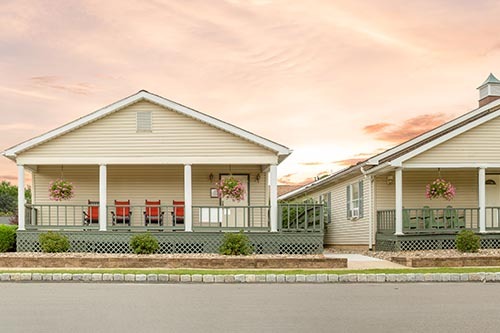 Plymouth Manor Personal Care Center accepts private-pay, supplemental security income (“SSI”), and Veteran’s Aid and Attendance benefits all as payer sources. After further understanding your financial situation, we will work out the most logical approach for paying for you or your loved one’s time with us. We also accept short-term ‘respite’ care stays for resident’s families going on a vacation or to fulfill other short term needs. Short term stays only require payment for the days utilized. Please visit our ‘Contact’ Page to send us a note or call us at 570-779-2730 for more information. Our owner, administrator, or any staff member will help you take the next steps. We are excited to assist you or your loved one in anyway we can.